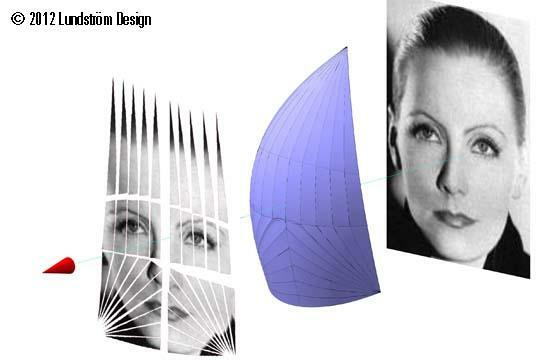 Image unfolds, used for applying photo realistic 2D images onto three-dimensional shapes, such as inflatable blimps, tents, awnings, sails, exhibition and architectural models, stage design, art, sculpture, packaging, etc., using our proprietary CAD and design software TouchCAD . 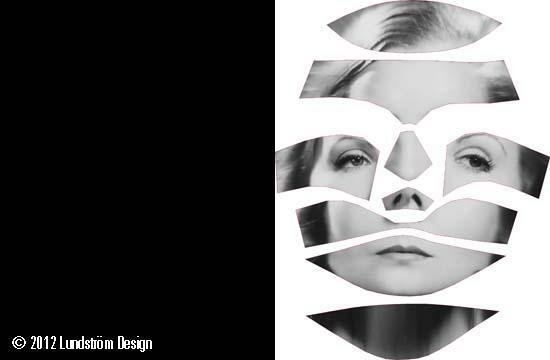 The image is deformed over the 3D shapes, and on a pixel level to fit perfectly when assembled in physical 3D, creating perfectly matching panel joints, in an automated process. 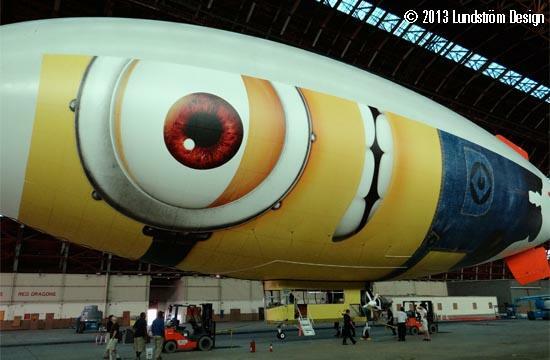 -Full photo realistic image wrapping on a 48 x 20 meter airship using 1,680 vinyl patches with an average size of just under one square meter each. 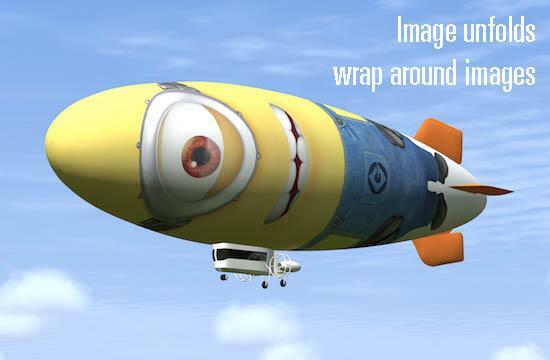 798 megapixels. 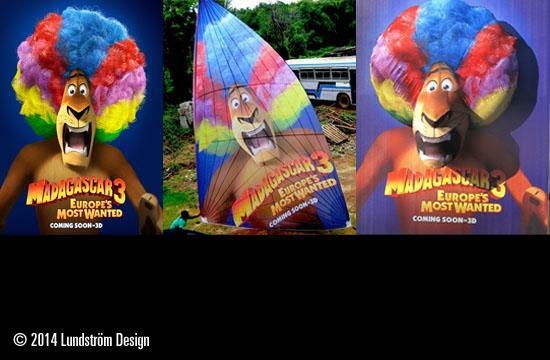 Production Team Production in Gosport UK. 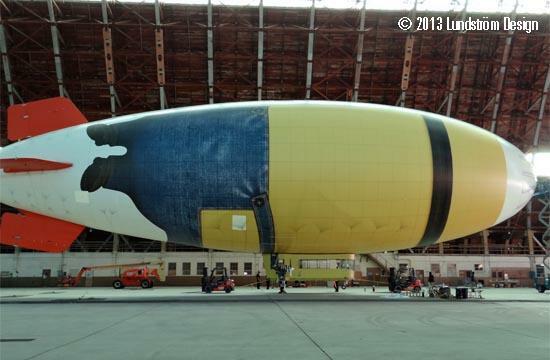 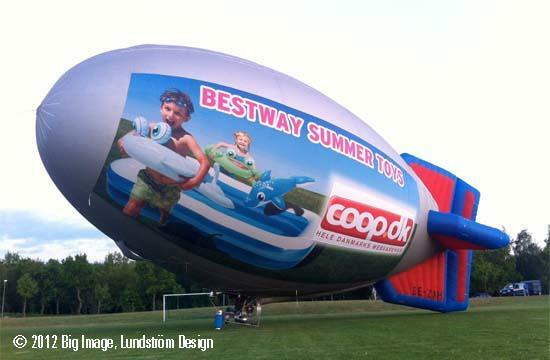 -Removable photo realsitic image applied to an existing hot air balloon for Oscair AB in Täby. 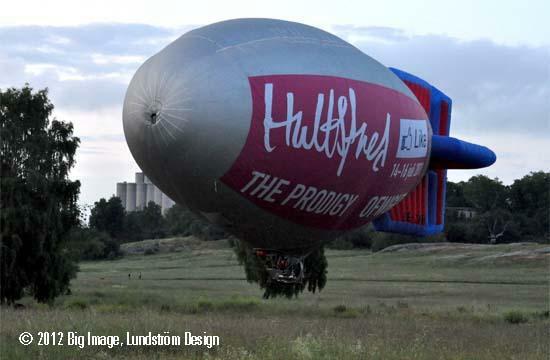 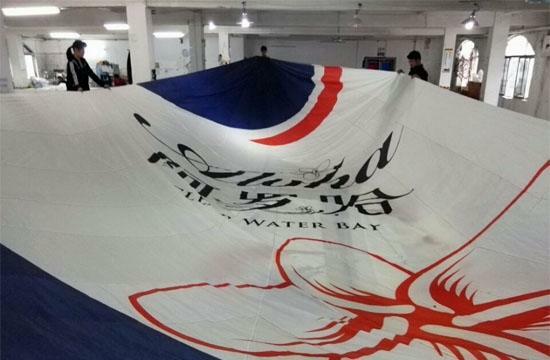 The printed image was 1.5 x 102.8 meters, with 345 megapixels per page, and applied to the balloon using Velcro. 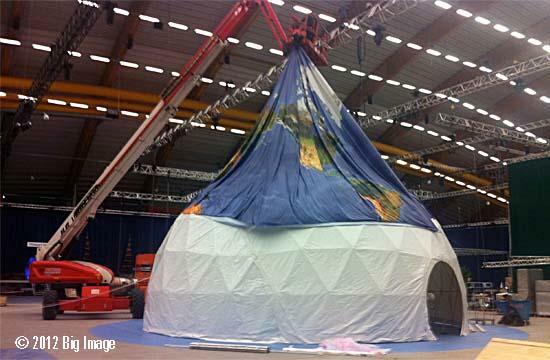 Print and production of Big Image in Täby. 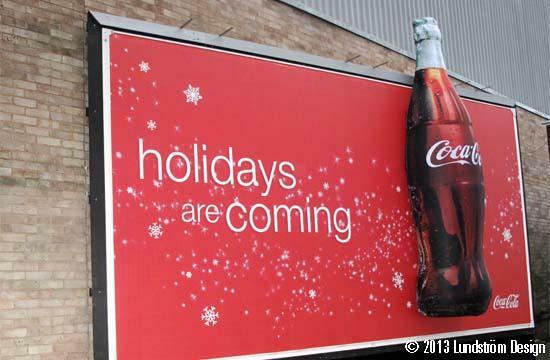 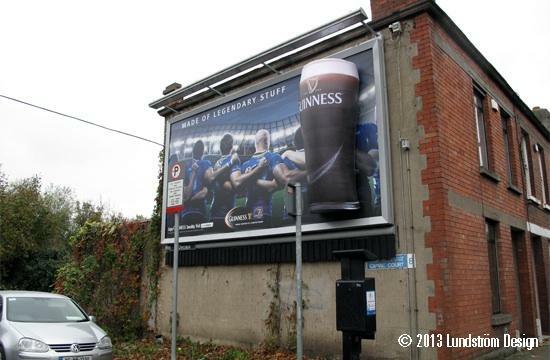 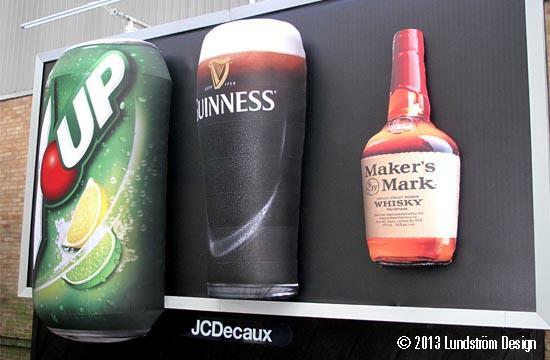 -Photo realistic 3D billboards produced by ImageProps in Leeds and London, England. 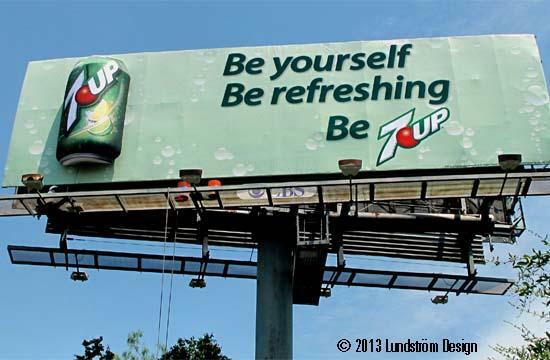 The three dimensional elements are mixed with regular 2D, emphasizing and highlighting certain parts of the billboard. 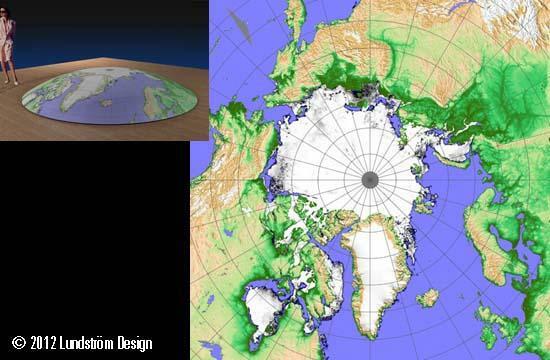 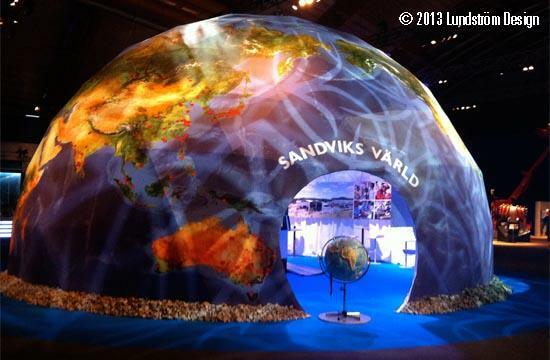 -Three-dimensional globe used for an exhibition stand by Sandvik Steel. 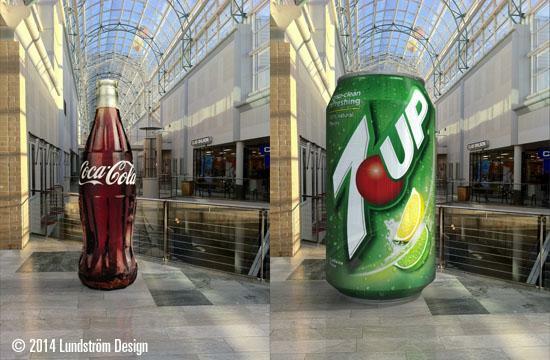 The image was 218 square meters, divided into 25 panels. 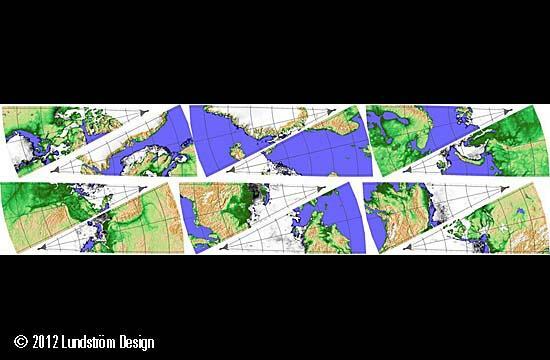 The printout was 107.344 x 2.802 meters. 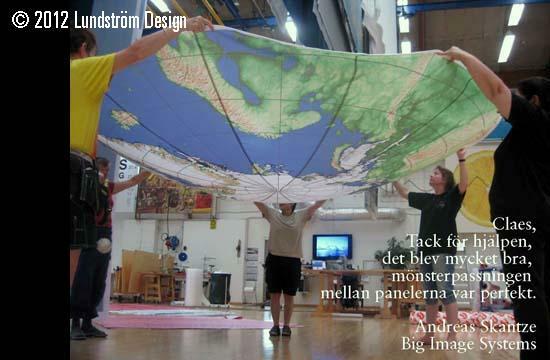 Print and production of Big Image in Täby. 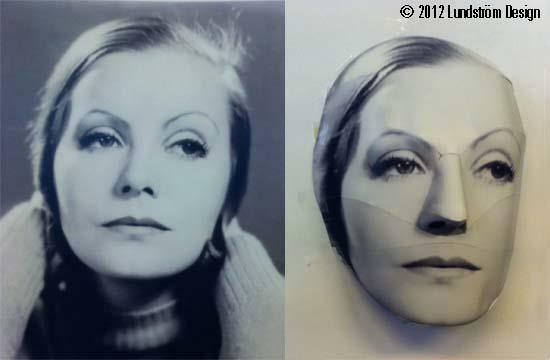 3D paper portrait of the Swedish film actress Greta Garbo based on a photo realsistic 2D image.